Exomotive - US Manufacturer of Exocars & Kit Cars | Exciting new Exocet option! Introducing the much desired Exocet removable roof option! 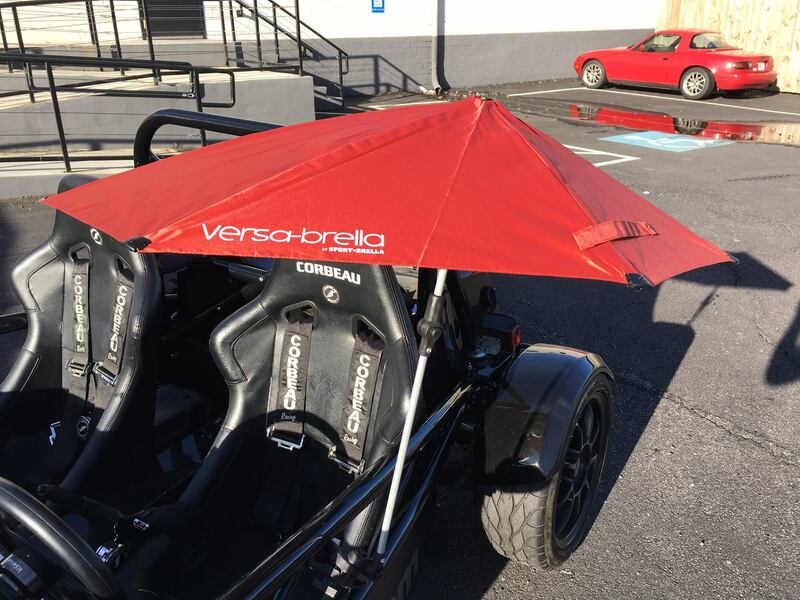 Sustainable up to a whopping speed of 3mph, this “Sport-Brella” provides the sun and rain protection you’ve been dying for. But in all seriousness, this bad boy is great, and can be clamped all over the Exocet.